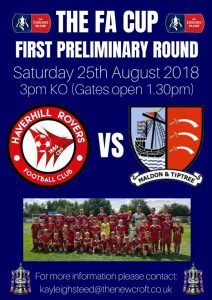 Haverhill Rovers FC v Maldon & Tiptree FC. Saturday 25th August 3pm Kick Off on the main pitch. Gates open from 1:30pm refreshments available all day, everyone welcome.